February 22, 2018 / Chymere A. Watching any NBA game post-Kobe is still a bit of an adjustment for me but there are still a few players who continue to put the fun and joy back into being a fan of the game itself. With each draft class, I love seeing how these young, ambitious players shine individually on and off the court, how fluid they are with their new squads, and how well they are able to mature over time. I know a bright future awaits a vast majority of these super stars in the making. Placed as the top scorer on his squad and no. 7 scorer in the league just 5 games in the 2017-2018 season, Kyle Kuzma is definitely one to keep an eye on for sure. It's not hard to see that this kid really does have something special and I'm so glad the Lakers were able to recognize that potential. On court, he seems to be this super humble kid, then BOOM, #KuzControl is in full effect and, at that point, there is really no stopping him. Starting in 21 of the 57 games thus far, averaging at about 15.7 points per game, shooting from a .45 field goal percentage, 5.9 in rebounds and approximately 2 assist per game, It's hard not to admire his playing ability, even from a numbers standpoint. As someone who didn't even have the greatest college stats coming into the league, Kuzma is turning that reputation around completely and blossoming exceptionally well in his professional career. Off court, Kyle is also aware of the world around him and takes the opportunity to speak out on important social issues. Discussed enough to be noticed, but still highly underrated is freshman shooting guard for the Utah Jazz, Donovan Mitchell. Averaging at a smooth 21.9 points per game (+ counting), typically accumulated in less than 40 minutes of play time, Donovan's stat line is already ridiculously impressive and one that can't easily be ignored. The Denver Nuggets, which is the team he was originally drafted to in 13th overall pick, has to be mourning for letting this one go. It's crazy to think that he's even considered an underdog in any conversation. 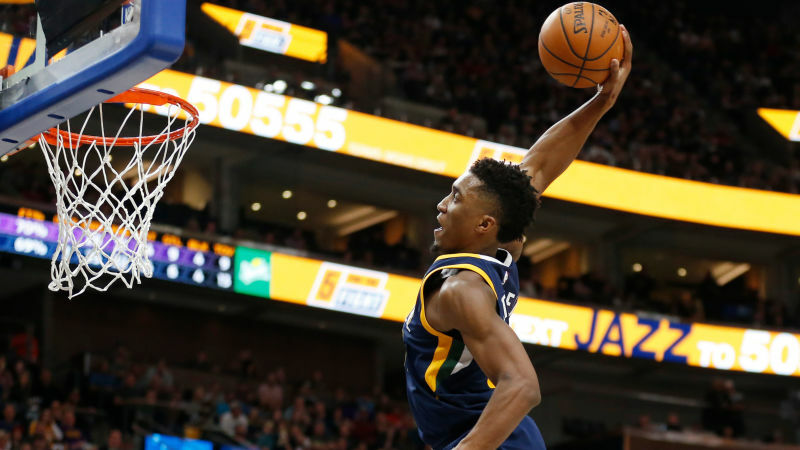 Aside from what he's shown thus far, he brought the creativity back and really reset the bar for the dunk contest moving forward; and this occurred in his first NBA All-Star appearance this past weekend. Needless to say, Utah definitely landed a steal with Mitchell. All in all, the young, captivating talent is easily becoming one of my favorite players outside of my own team to watch and he is - without question - top of my list for Rookie of the Year candidates. Last, but not least is the 76ers fresh new 6'.10 Point Guard, Ben Simmons. Already being compared to legends like Billy Cunningham and Magic Johnson, Ben Simmons is what basketball dreams are made of. 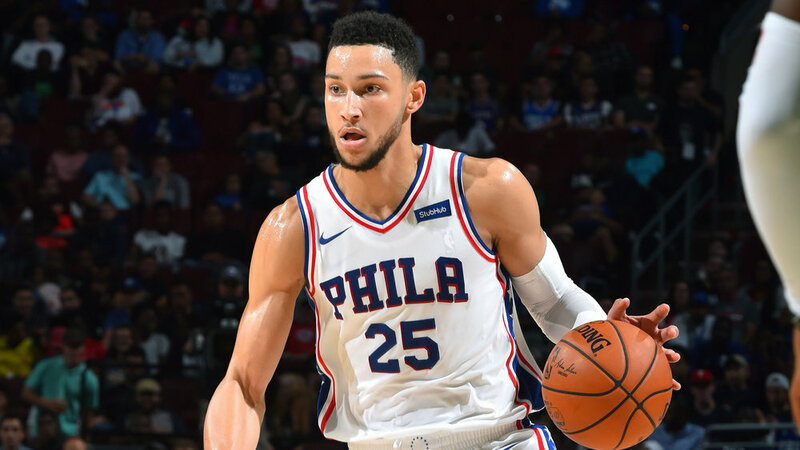 Much like his classmates from the 2017 draft, Simmons has charted a phenomenal resume, averaging at around 18 points per game and approximately 8 assists, either increasing or maintaining those stats every game in points, assists, and rebounds. He's a super versatile player, considering he consistently shows all the signs of being a solid player all around, both defensively and offensively and capitalizes on finishing at the rim. He's also the 5th man standing in triple double stat numbers next to Oscar Robertson, Magic Johnson, Russell Westbrook, and Wilt Chamberlain. I'll dare to say, he is absolutely on track to becoming one of the best basketball players in the world. It might be a reaching prediction and too early to know for sure, but I am willing to bet on it.